Ruslan International runs 17 An-124 Ruslan aircraft. The Russian group Volga-Dnepr and Ukrainian Antonov Airlines closed joint cargo airline Ruslan International, Interfax-Ukraine reported with a reference to Volga-Dnepr. The joint venture is scheduled to be closed on 31 December, 2016. Ruslan International was established on a parity basis in 2006 and was engaged in transportation of large-sized cargo by An-124 Ruslan aircraft. The company runs a a fleet of 17 Ruslan International aircraft, 10 of which were the Russian company's share and seven were Ukrainian. 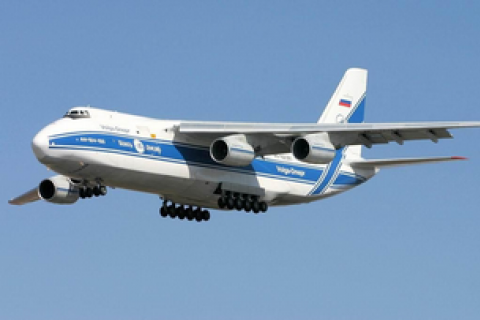 Volga-Dnepr said in a statement that the 10-year cooperation with the Antonov Airlines was mutually beneficial. The parties intend to continue it, but only within the framework of the continued airworthiness of the AN-124-100 aircraft. In September, Russia's Ministry of Industry and Trade announced the refusal grom the services of Antonov in the maintenance of Ruslans. The manufacture of Ruslan has been ceased in 2004 although the annual global demand for them, according to some estimates, may reach 260 aircraft. In late 2013, Ukraine and Russia signed a treaty to render governmental support for the resumption of serial production of An-124s with the engine D-18T and their modifications. The armed aggression of Russia against Ukraine put an end to these plans.